Lisa wins three certificates to a beauty spa makeover and takes the girls. Tia and Tamera try on a straight hairstyle which makes them a big hit. The next day at school, Tia goes back to her old look but Tamera keeps hers and gets in with the popular crowd. Meanwhile, Ray gets a new cappuccino maker and goes overboard on making and drinking cappuccinos. The girls want to make extra money so look for work. Ray gets them jobs at his limo service but they quickly tire of cleaning limos with fat old men. They find open positions at a trendy restaurant, Rocket Burger, but don’t want to hurt Ray so try to do both jobs at once. Tia and Tamera both fall in love with the same boy who meets them both at Rocket Burger in different places and mistakenly believes they’re the same girl. When he comes to pick her up for a date, he winds up taking both of them instead. The twins find dates for the big dance, but find them disappointing; Roger struggles with a very tall dance partner. Tia helps Tamera meet a cute guy that they see on the bus. But a little too late, Tamera finds out that the cute boy was only 12. Meanwhile, Lisa tries to tell Terrence she loves him. The twins find a pig that’s being abused and decide to take him and hide him in their house, forcing Ray and Lisa to face a tough decision when they find out. Tia and Tamera are both taken to the hospital with appendicitis and rushed off to surgery. While they’re in recovery, they find out from the doctor that they were born in the hospital and try to find the files on their real parents. Tia’s new tattoo, a symbol of her love for her boyfriend, aggravates Lisa. Tia and Tamera get their driver’s permits and their parents try to teach them to drive. Tamera is too carefree and Tia is too nervous, so Lisa and Ray decide to switch and each teach the other. However, this results in their cars crashing into each other, and the wreck scares Tia off from getting behind the wheel again; and even Lisa who is ordinarily so sure of everything, is shaken up by the experience. In an effort to reassert themselves socially, the twins plan the party to end all parties; and, when their guests are late, Lisa, Ray, and Roger round up some replacement guests so the twins do not feel bad. The twins get detention when the cool teacher loses his temper with them; Roger steals a love statue and finds himself irresistible to women. 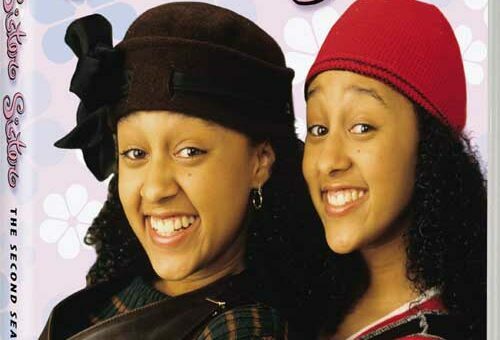 Tia and Tamera take the S.A.T exams, and later when the results come back the twins get surprising test scores; Lisa tries to sell some of her at a boutique store, but she is snubbed by the owner. Tia’s offered the lead in the school play- but only after Tamera forfeits the part by being late for a rehearsal. Tia’s grossed out by a bizarre dream in which she finds herself to be the object of her boss’s affection; Lisa fixes Ray up with a blind date. Tia and Tamera’s school project on parenting is not what it’s cracked up to be when Tamera is paired with Roger; Lisa tries to impress Terrence’s religious parents; and Ray gives an E-mail dating system a try. When Lisa uses the twins’ new answering machine to monitor their activities, she discovers that they may have started smoking. The twins have a huge exam coming up, and they are very stressed, on the day of the exam Lisa picks the twins up from school, and takes them out for a day of fun. When they get home, Ray and Lisa get into a huge argument. Tamera finds a new buddy named Denise, while Tia’s sick at home, but the twins are freaked out when Denise begins to act and dress like them in order to secure their friendship. Season 2, Episode 19, I Do? After Terrence proposes, Lisa makes plans for her big day – until a bizarre dream makes her think twice about the wedding.